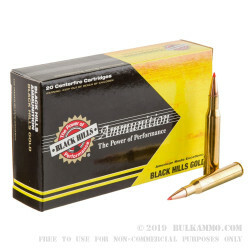 Deer and boar hunters will appreciate the improved accuracy and strong terminal performance of this ammunition from Black Hills Ammunition. 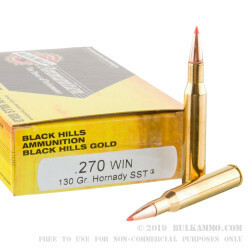 This .270 Winchester ammo belongs to the company's high-end Gold line and features Hornady SST polymer tipped bullets. 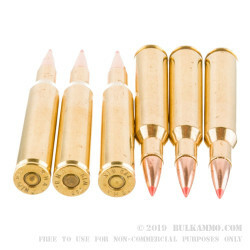 SST bullets have an aerodynamic profile and tip and are mechanically locked to prevent the core and jacket from separating as the projectile strikes an animal. 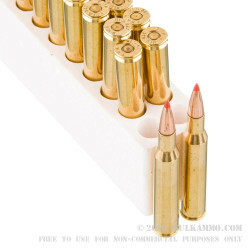 Each cartridge in this box of 20 propels a 130 grain version of the SST to a muzzle velocity of 2,950 feet per second. Expect flat trajectories and good medium range performance against a variety of game. This ammo lives up to the .270 Win's reputation for strong terminal performance while delivering more consistent points of impact! Black Hills Ammunition is a South Dakota based company that produces ammo for hunting, personal defense, law enforcement, and military applications. Their products use high-quality components including noncorrosive Boxer primers and reloadable brass cases. Hornady of Grand Island, Nebraska is one of the country's best-known designers of superior bullets.